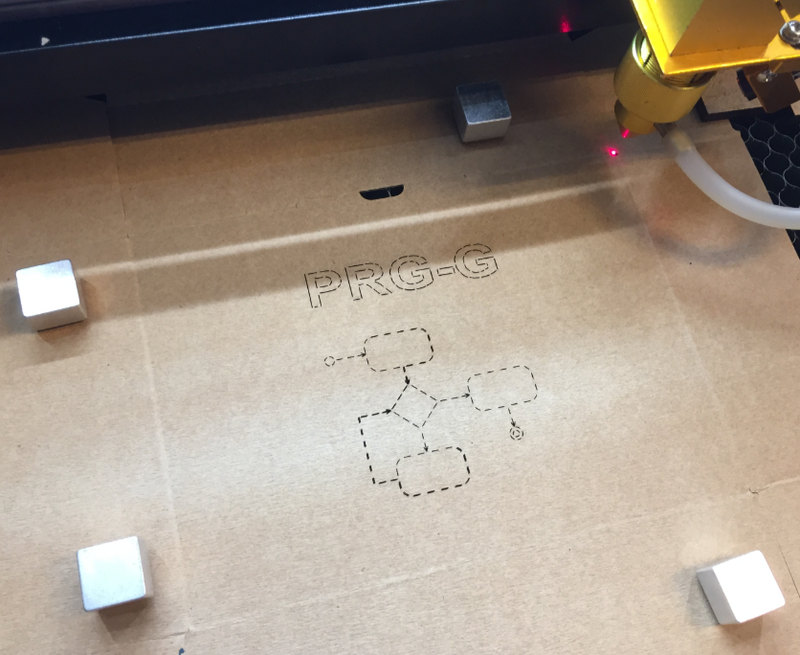 A laser cutter can be used (as the name indicates) for cutting materials. With reduced laser power or if the laser beam does not go through, it can engrave materials. So the idea is to use reduced laser beam power to engrave card box material. The problem is that the air assist tends to blow out smaller pieces. 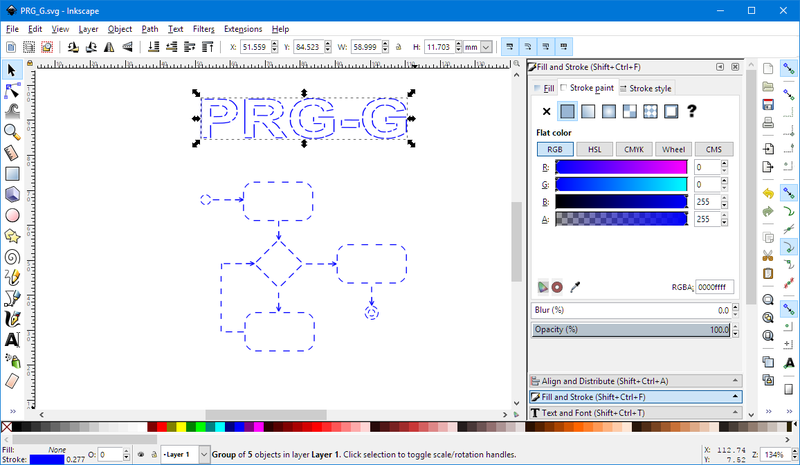 Raster engraving takes longer. With 5% the writing is clear, but tends to cut out, and with 3% the look is not ideal neither. 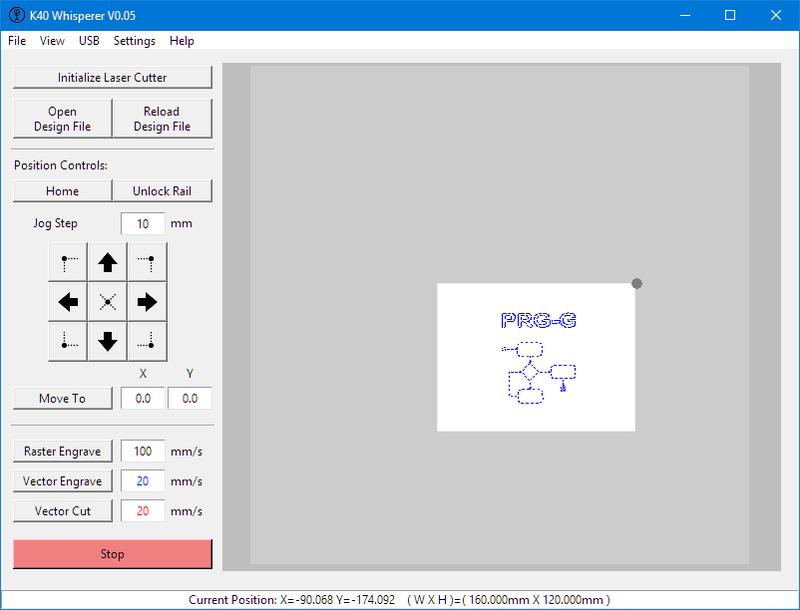 So raster engraving was not ideal, and normal vector engraving did cut out things even with the lowest laser power I can use (2%). Initially I used 2% laser power with 10 mm/sec and with this the laser was cutting through the material. 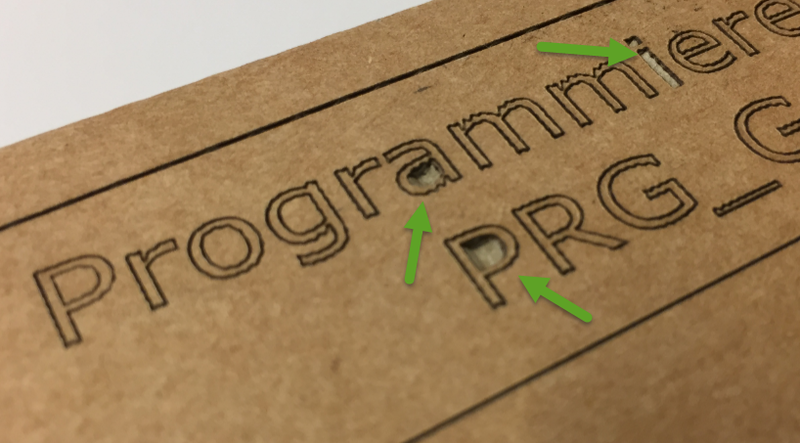 So I had to increase the speed to 20 mm/sec: that way the laser did not cut through and the process was faster too (around 2 minutes for a box). 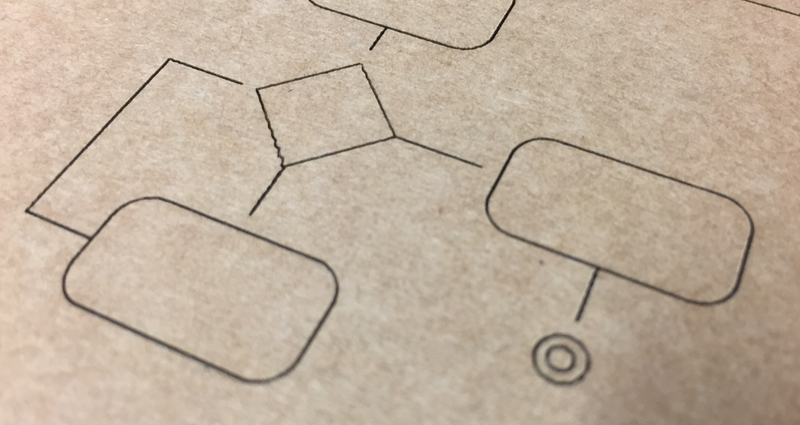 Engraving card board material is one use of a laser cutter. With a combination of low laser power and moderate speed good results are possible without cutting through the material. To avoid cut-outs I have used dashed lines which worked fine and gives a distinctive look. 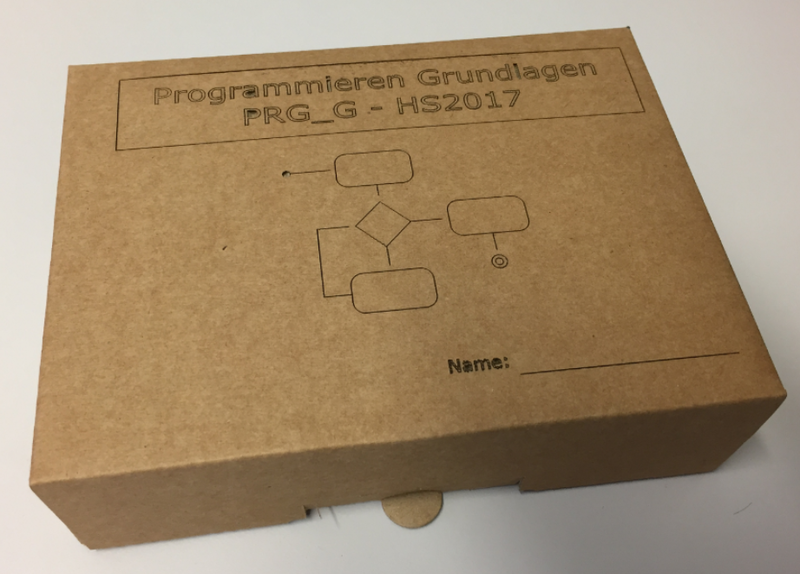 This entry was posted in Cardbox, Laser, Laser Cutter, Tips & Tricks and tagged card box, engraving, Laser, Laser Cutter, technology, Tips&Tricks by Erich Styger. Bookmark the permalink. Wish my universities had given away stuff like this. Box looks awesome! a) research indicates that students are more motivated and using the boards for their own experiments. That way they learn better and faster. b) the kits can be less expensive and robust, as the intended usage time is not over many semesters. And with giving them away we don’t have to maintain an inventory, repair them (students can repair them if needed). 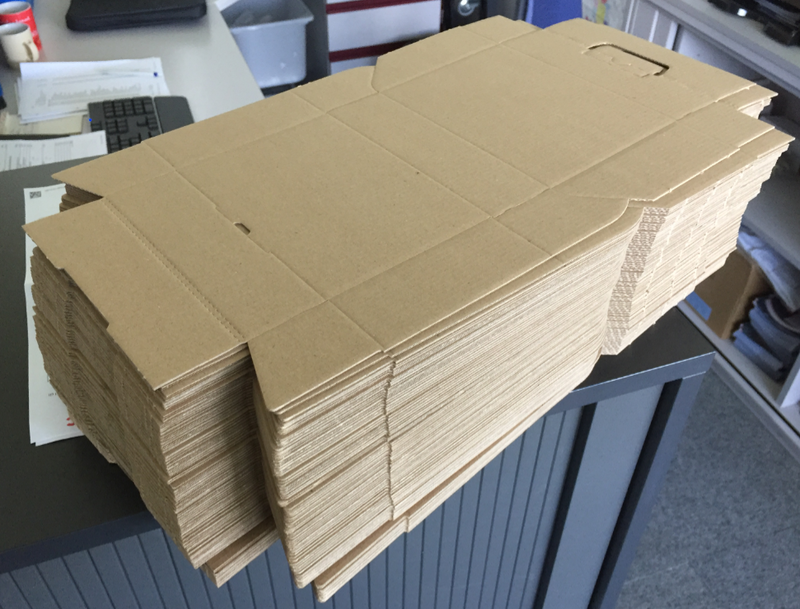 Plus you can recycle the card box too (we use special plastic boxes for other courses which are not a give-away). 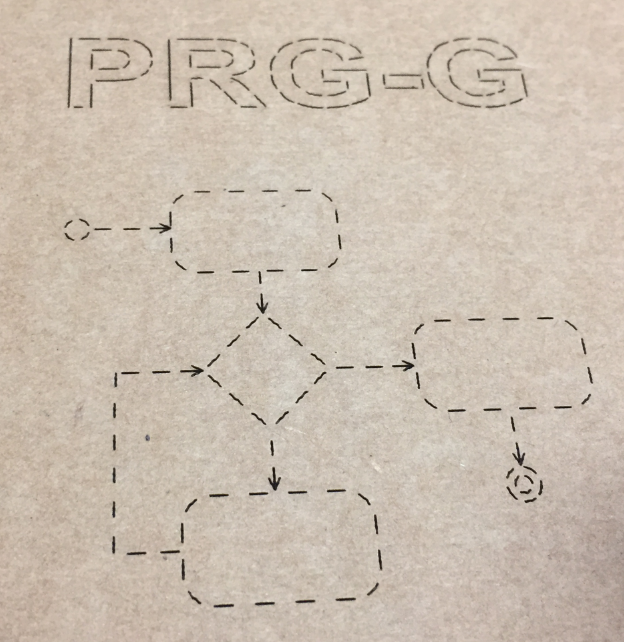 I’ll be a bit nerdy here but it seems your PRG-G activity diagram is broken (not UML 2.5 compliant) and it seems almost everyone is ignoring that. where we’d probably all expect an implicit merge instead of an implicit join. 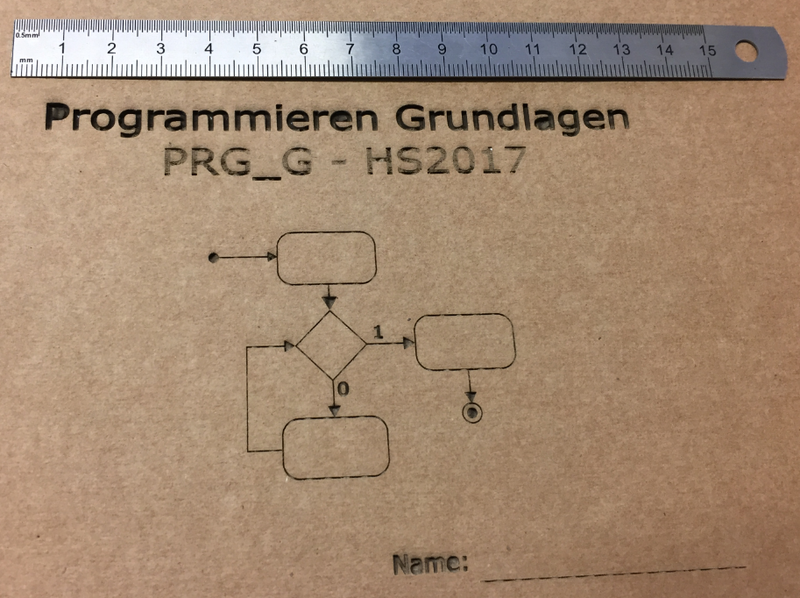 yes, it is not UML 2.5 compliant, and for example is missing as well the necessary labels. But this was because of keep it simple. And otherwise I always can say it was on purpose so students can find the mistake(s) :-). I like your post. It’s a nice information about laser engravers. Thanks for sharing the post. You are welcome, thanks for providing feedback! 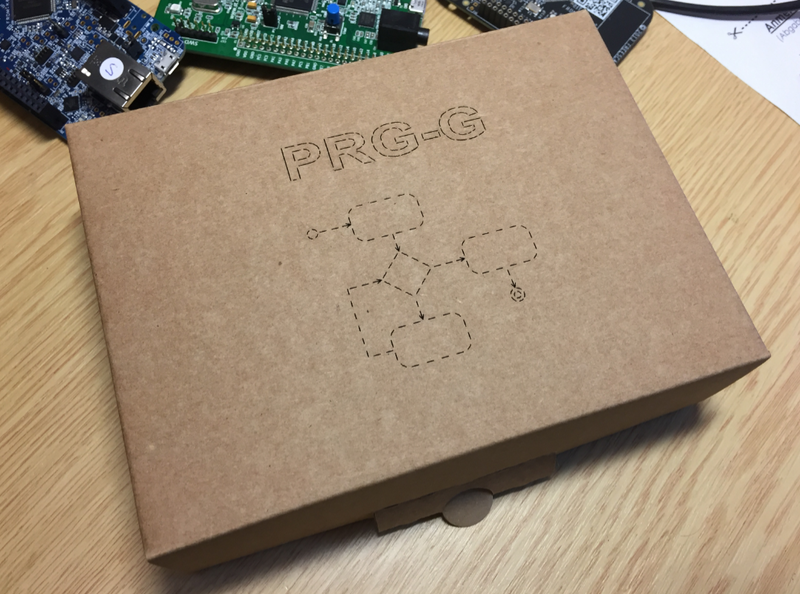 I plan to make more post especially about box design and engraving them with the laser cutter.